Welcome to Thornton & Co Holdings. I'm Scott Thornton, IT Technologist, Project and Program Manager and all round T-Shape Professional. I'm an experienced delivery focused professional with a demonstrated history of working across finance, transport, government and telecommunications industries. Highly skilled in Public Cloud transformations (AWS and Azure), Software Development, Database Management, Data Center Migrations, Transition and Transformation Programs and Solution Architecture. For the past 4 - 5 years I've been accountable for the delivery of highly secure, CI/CD Public Cloud platforms into large complex enterprise environments. 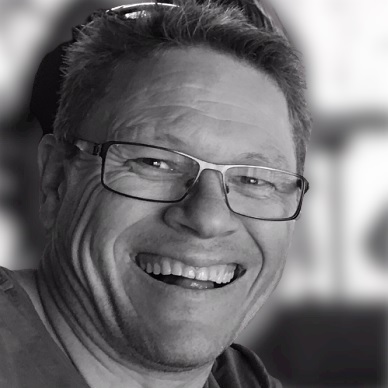 Over 20 years of IT experience across multiple industries I've had the opportunity to manage some amazing projects and programs and work with some highly talented, enjoyable and motivated people. I'm continually looking to learn new ways of working effectively and finding efficiencies in the business outcomes I'm engaged to deliver. Learn more about my delivery experience. In a large enterprise environment which has numerous business units building and deploying against the latest technologies, this creates a number of opportunities to enable a platform capability which all can leverage and consume as an internal service offering. One of the strategic principles when delivering a Public Cloud platform is being able to cater to the seemingly endless number of use cases which exist out in the business, yet enable a level of standardisation which can maintain environmental control and a known risk posture of your public cloud platform. What services do you want to expose to consumers for their use? Too few and you’re limiting the consumers use, too many and you may never get the job done. How will you maintain Security Management of those services? With public cloud use comes a greater responsibility for ensuring security across the platform is maintained 24 x 7. When consumers utilise services, how will you manage Identities in the cloud and will you leverage existing enterprise Identity Management services already deployed? 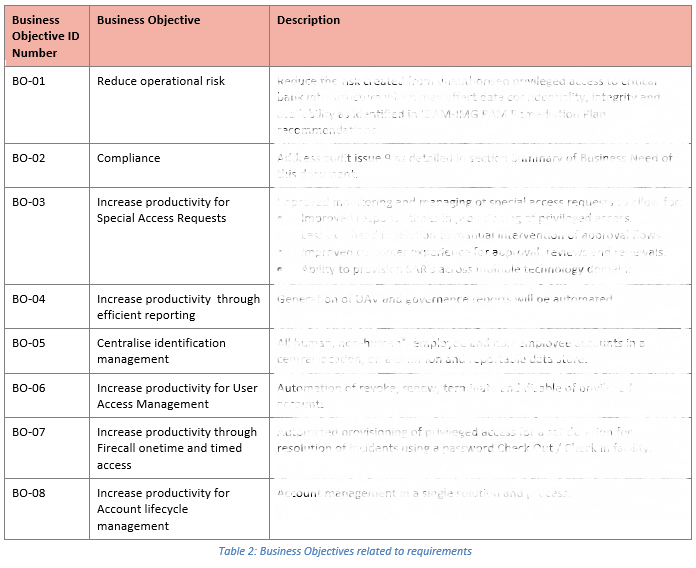 If using separated identity stores, as a basic example how will users manage passwords, if using existing identity stores how do you managed access, do you deploy a Role Based Access Management capability (highly recommended). 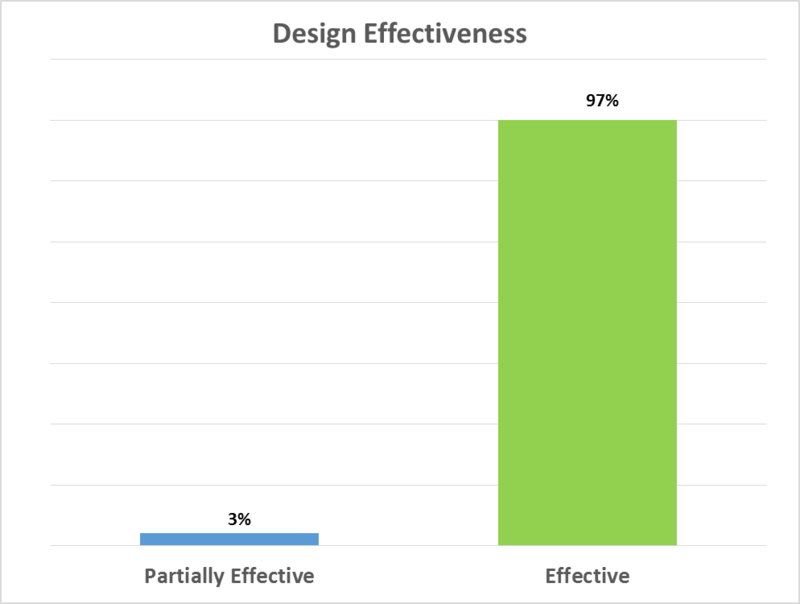 What is the level of risk which is acceptable to the organisation and how will you measure Design Effectiveness and Operational Effectiveness to rate the risk posture? How will platform management be maintained, will the cloud platform cater to long lived instances or will all consumption be via immutable codified CI/CD pipelines? Who and how will the platform be operated from a day to day operational run perspective. What are the regulatory, audit and compliance obligations that need to be built into the platform for regular reporting? How will you monitor and control the platform health, visually or manually for example. Will you implemented just detective controls or expand out and implement corrective controls too. How will consumers order a public cloud service and what will provisioning look like. The usual project management fundamentals will be no different for overall completion though over the past few years there has been move to a hybrid style of delivery. 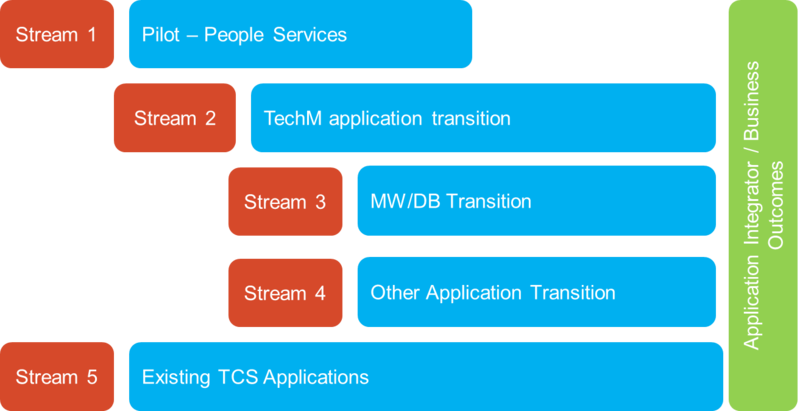 Where traditional waterfall model still exists to get strategy and design artefacts completed, then software defined capabilities that underpin the public cloud platform services operate in a Scrum based delivery framework. Taking the public cloud strategy and breaking it out into specific logical design components then enables the scrum teams to pick up designs and break them down further into logical backlog items for the scrum team to size and develop through sprints. Risk Management has become one area which is always getting a lot of focus, though when it’s about putting High Inherit Risk workloads into the public cloud the demands from internal risk and external regulators become much greater. Technical risk management needs to be incorporated into the overall structure of the public cloud delivery model where designs are assessed for risk and subsequent determination of mitigations and resulting residual risk needs to be finalised. 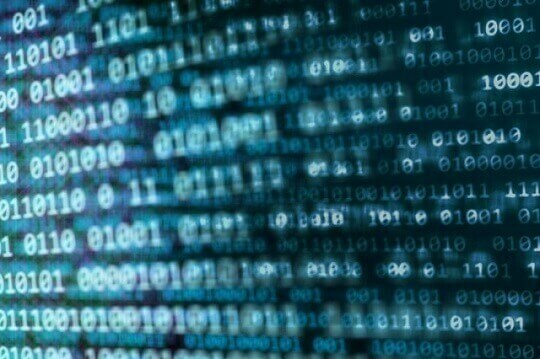 Once the risks mitigations are determined those then need to be delivered against, either through manual processes or best via code and automation. Along with other key risk controls, the risk team then does an operational effectiveness assessment of the key controls and mitigations implemented and determines the residual risk rating. If the level of risk has been concluded as acceptable by executive sponsor it’s then baselined and can be used as future reference point against any variance identified. People are the core to success with any project and you need ensure they’re the right mix of technical capability, self-driven and fit for the team and corporate culture. Deciding who will deliver the capabilities that aren’t available in-house is a necessity. There are so many organisations out in the cloud space today so their experience will have to be proven in order to ensure you get the right capabilities you’re likely paying top dollar to retain. Get in contact to talk more about how you want to develop your Public Cloud transformation. 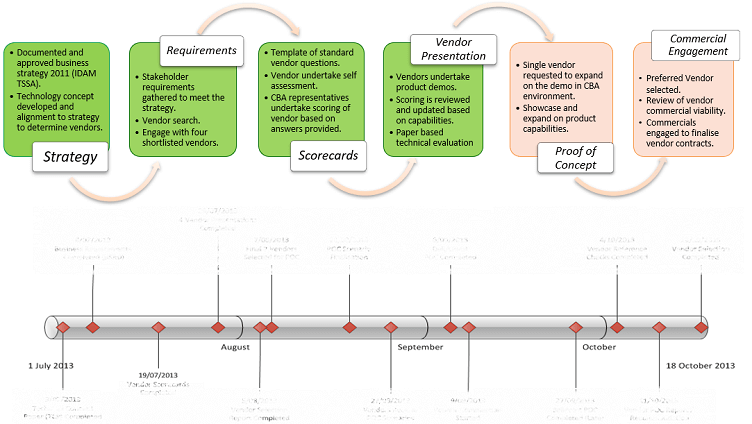 In enterprise environments the selection process for procurement of new services is heavily governed to ensure that it’s been a fair and equitable process to get to the desired outcome. When starting on the journey to selection of a new enterprise product which more than likely comes at a lofty price there are a few items that need to be covered off at the initiation of the works. Engagement with the commercial team has been established and a commercial lead has been determined. Rules of engagement have been defined and agreed, such as communications channels, who is the primary contact, what are acceptable methods of contact and no single person meetings for example. Who will the assessment team be, what is the mix in relation to technical review against business review as well as coverage from different business units and key stakeholders. What are the responsibilities of the assessment team, who has responsibility for what components of the assessment. What’s the assessment criteria from a technical and business perspective such as technical capability and marrying business outcome requirements, or financial impact and achievability to expected outcome such as ROI. How will communications and correspondence be recorded and who has access to the information. What’s the timeframe for the tender process, when are submissions due, what’s the period of feedback, when are demos to be conducted, how are presentations to be undertaken and who will the audience be. These are just a few of the ground rules that need to be determined, see the Resources section to review a checklist for RFP engagements as a customer. Business Objectives, Context and Requirements with the requirements preferably structured into a MoSCoW so that responders can easily associate their product to how they meet the requirement. Structure on how the responders are to reply to the tender, this needs to go to the detail of what format, the maximum length and complexity necessary. Any data metrics which will aid the responder to providing an accurate response such as expected transaction times, recovery and high availability expectations and support levels. There needs to be an agree balance of paper-based reviews with proof of concepts, responder presentations and use case demonstrations to ensure an qualitative review is being undertaken, everything that’s being assessed in the selection criteria needs to be measurable. Responders will provide their paper-based submissions as well as time frames for the other assessment items. Get in contact to talk more about managing your Request for Proposal works. Qantas was extending its IT hosted infrastructure capability to include hosting business applications in the Public Cloud for appropriate workloads. Qantas had an immediate requirement to reduce the cost of all aspects of their IT services with the business strategy requiring an ability to stand-up environments quickly to develop, test ideas and deploy. Cloud IaaS offers advantages in terms of speed to market for new capability, configuration, utilisation flexibility and cost to develop/operate. The establishment of a Cloud Service Integrator capability was required to enable the ability to develop, migrate and operate Qantas business applications and enterprise systems on commercially available Public Cloud IaaS platforms, this was chosen to be Amazon Web Services. A range of architecture patterns to support Qantas business applications of all criticalities and supporting all data sensitivities. The Public Cloud IaaS supplier landscape was evolving rapidly. Gartner had most recently evaluated this landscape as at May 2014. 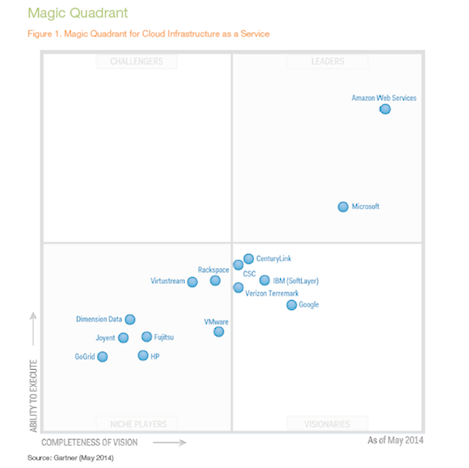 Two clear leaders had emerged, being AWS and Microsoft Azure. During Discovery, Amazon Web Services (AWS) was identified as the clear market leader in Australia and globally and has been down-selected for initial innovation and design activities. This does not preclude the evaluation and selection of other cloud partners (Microsoft Azure or IBM SoftLayer) in the medium to long term. Key assumptions were that a Multi-Cloud landscape (i.e. More than one Public Cloud Provider) was likely to be necessary to manage risk and that strategic investments (e.g. Cloud Management Platforms) may be necessary to achieve this outcome in the mid to longer term. Therefore requirements, whilst being positioned to apply directly to the AWS Public Cloud in the first instance, were essentially Cloud vendor neutral as far as practical. 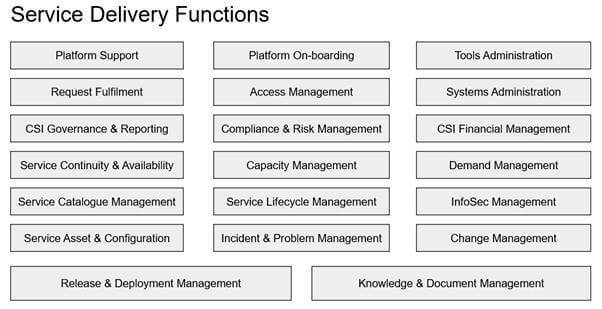 With much of Qantas’ technology needs being outsourced there was a desire to build an internal service capability known as the Cloud Integration Service (CSI) which would support consumers with their cloud adoption, while also aligning to the existing ITIL framework within the Qantas Technology Group. As a direct response to one of the most challenging operating periods in its history, Qantas embarked on a major business transformation program, focused on strengthening its core business and driving earnings recovery. Focus areas for this transformation include reduction in Qantas’ operating costs by $2 billion by FY17, strengthening the customer proposition while maintaining yield position, and reducing technology operating risk to acceptable levels. Simplifying the overall IT technology landscape, reducing IT run costs and directing resources towards innovation. Implementing a new IT Operating Model to align IT delivery more closely to Business Outcomes for details of the Business Outcomes). Balancing the dual IT delivery requirements of agility and innovation, against industrialisation for different areas of Qantas. Requiring both internal staff and suppliers to take greater responsibility for Business Outcomes through greater accountability. Ensuring greater contestability and flexibility across Qantas’ supplier base with a view to driving better technology innovation. The objectives of the Program were to transition into Qantas the new Application Maintenance Services (AMS) contract which was awarded to TCS. Qantas signed a new Master Service Agreement (AMS) with TCS, with TCS taking accountability as the Application Integrator for the management and maintenance of all applications, databases and middleware environments to meet defined Business Outcome based service levels. 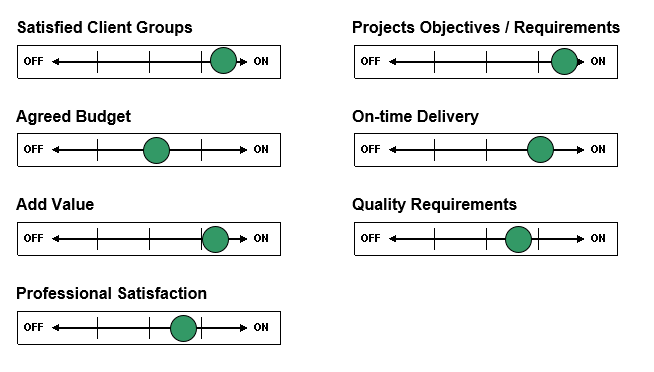 With large programs that have an aggressive timeframe to complete, its important to get the deliverables defined so that the structure of the program can be established, for this program the deliverables were defined as such. 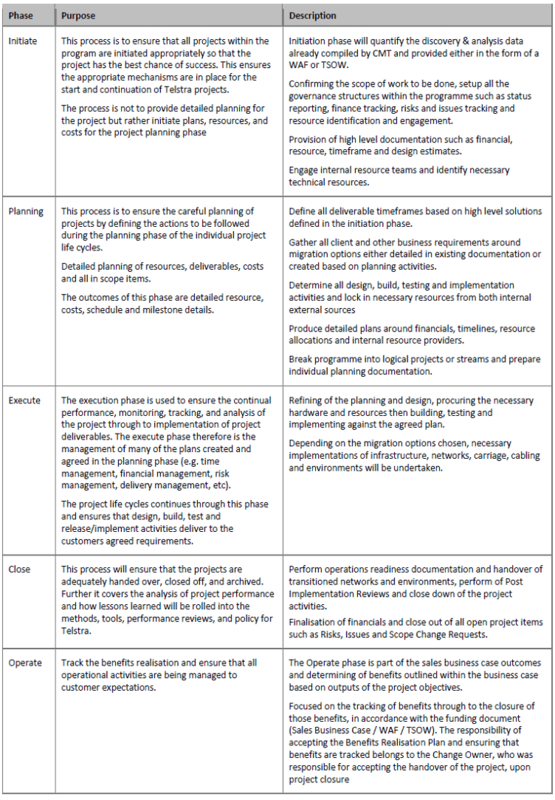 Base on the deliverables the program structure can take form so that each project can operate independently yet roll up into the overall objectives of the program and business outcomes. The ideal situation is that those workstreams that delivery the greatest benefits as soon as possible are structured for success, though based on benefits realisation and business priority this isn’t always the case so in that case let the Program Steering Committee make the decisions on prioritisations. Get in contact to talk more about how to deliver successful Transition and Transformation programs. The objective of the Transformation Program was to extend the existing contractual arrangement with an existing client to one of a ‘preferred vendor’ for the delivery of a new Omni channel acquiring payment solution. To achieve speed to market and lower up-front costs, Verifone delivered the new card present POS terminal solution and eCommerce card not present acceptance solutions from payment solutions connected to or hosted directly on the Verfione Gateway solution. The Transformation Program delivered a new Payment as a Service (PaaS) capability to one of the big four banks with Union Pay International and Dynamic Currency Conversion functional capabilities through the new to market Vx690 Terminal and real-time online merchant portal. The high level goals are stated in the below table. Payment as a Service solution is operational in production environment by base lined milestone date. There are 25,000 UnionPay International capable Vx690 terminals operational within the acquiring business by baseline milestone date. There are 150,000 Vx690 terminals operational within the business by baseline milestone date. Profit margin associated with the delivery of PaaS meets or exceeds forecast revenue. 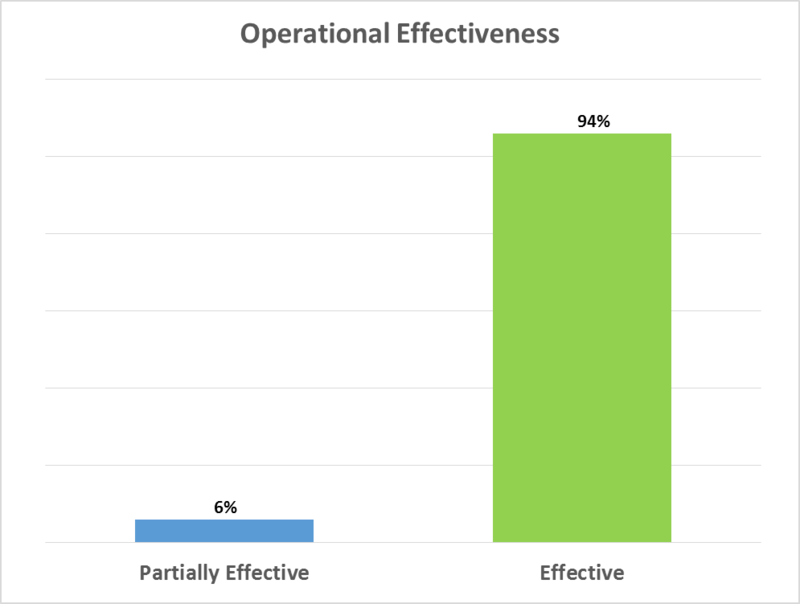 As this is an external customer delivery program, customer satisfaction was at the top or near the top as a success criteria. Resource management will be defined in the resource management plan as required to deliver the program. The following points dictated the resource engagement for the program. Internal Verifone resources required will be engaged through their respective management lines via the accountable project manager. External resource will be engaged via the necessary project manager stream lead. If additional costs are to be incurred outside of existing agreements then, scope of work and quotes will be agreed and signed off by the steering group. Get in contact to talk more about managing delivery of a new payments platform. In past years a number of audit issues and risks had been raised in the Platform and Operational Access Management (POAM) space. 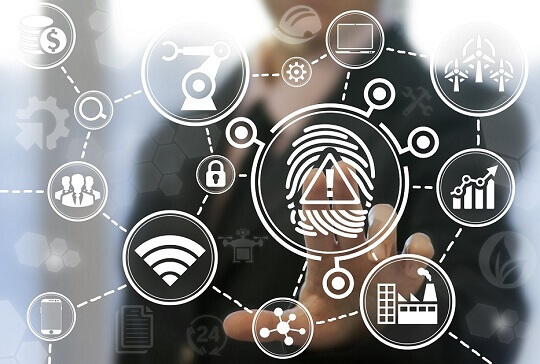 Remediation of the root causes of these issues had proven difficult due to the large number of servers, accounts, data quality, business stakeholder buy-in and fragmented processes supporting the POAM space. The POAM problem space also extends across all service providers, all of whom follow different processes for privileged access. To remediate the issues in the POAM space, tactical and strategic recommendations were defined in late 2012. The tactical recommendations are aimed at containing the existing risk by addressing existing process and audit issues with minimal investment. The strategic recommendations are anchored in the IDAM strategy and the target state developed by the CTO team and required investment in technology and process and transition being a multi-year journey. Presales vendor product demonstration (business and technical) focusing on SoD and Privileged and Identity Access Management scenarios. After applying the agreed evaluation criteria and weightings and the above inputs, recommendations of the evaluated products were presented. Get in contact to talk more about managing delivery of a privileged access management. The Department of Human Services is the second largest Commonwealth Government agency in Australia. The Department is the key delivery mechanism of social services and Medicare payments to Australian citizens. Today DHS touches 99% of Australian citizens. It acts as the Commonwealth government lead agency in times of major incidents and natural disasters. As Australia’s population grows so will DHS, representing a long term strategic opportunity to Telstra. Managed Data Services – including secure managed WAN services and support services along with managed external data services (internet access). 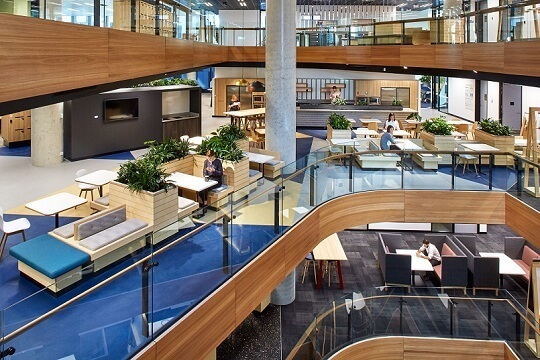 Telstra delivered DHS with a single sourced converged and unified voice, mobiles, data and contact centre network to replace disparate multi sourced networks that will allow DHS to service their customer base efficiently utilising proven technology and to improve productivity on an ongoing basis. This delivery represents a critical strategic account in the Federal Government, providing Telstra with a platform that can be leveraged to secure additional Commonwealth and State government business. Key to differentiation was how Telstra articulated the unique value they brought to the table through use of strategic partnerships. With large transitional programs the need to have a solid change management approach is critical. This will ensure the management of each distinct user or stakeholder group through the change journey is established to build their commitment and capability to change. 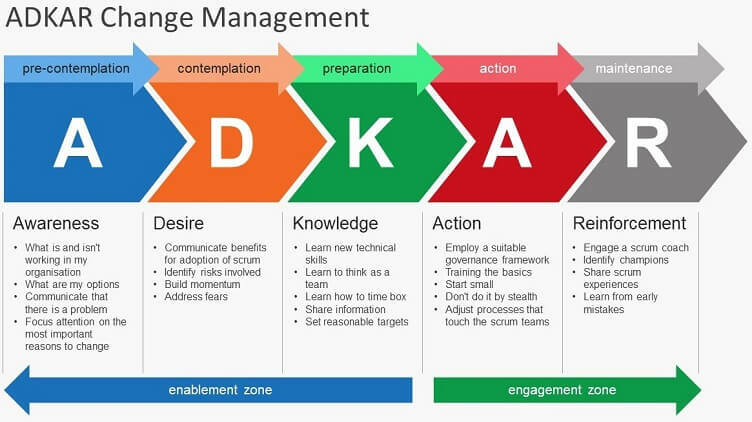 Use of ADKAR is a well known method for implementing the management of change through the phases of the program, with the intent to plan, manage and reinforce change with stakeholders. Prepare for change by determining how much and what change is needed. The outcomes from these assessments are then used to “guide” the Business Case deliverables around Impact Assessment, Change Effectiveness and sustainability of outcomes Stakeholder Assessment, Communications, Training and any other considerations. The Business Impact Assessment will be used as the single source of truth in building change plans for the program. The business outcome owner is responsible for ensuring the transitioned functions operate correctly on the new environment and must provide test cases for the testing of applications. Get in contact to talk more about managing large transition and transformation programs. Telstra was engaged in July 2010 to develop a discovery and scoping exercise to provide cost estimates and systems and services documentation related to migrating East Chatswood Data Centre (ECCC) to a new data centre located in Western Sydney (WSDC). This work was scoped in July 2010 to provide architectural consultancy and project management to identify all voice and data communications services in ECCC as well as prepare a high level strategy for building he core network and moving the services to the New Data Center (NDC). The migration strategy was published in which was released in December 2010, this strategy document outlined the following major components. A high level description of the core and distribution network within the new data centre and how this will integrate into the Westpac Internal Network. A high level description of the new WAN Access networks for both internal and external connectivity. 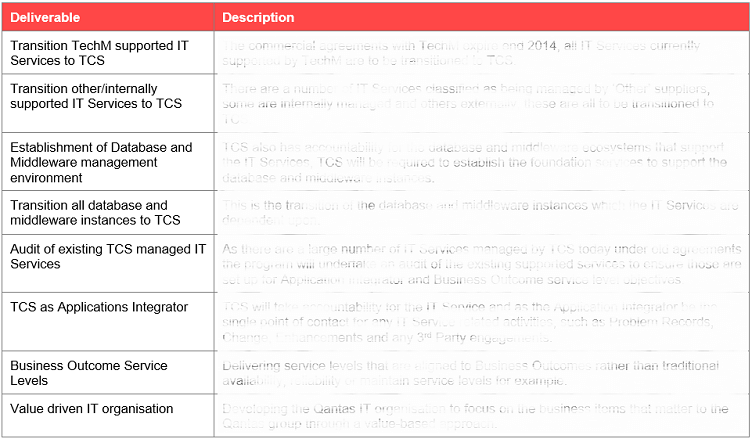 A high level description of the infrastructure needed to enable the migration of Telstra CMT managed networks from ECCC to NDC. A description of the relocation strategy for each identified Telstra CMT managed network that will be moving from ECCC to NDC. 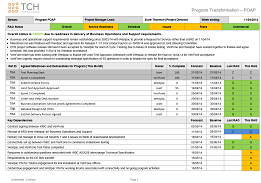 The following approach will be used across all of the projects within the program, the phases are in line with Telstra project management methodologies. Although the logical order is top to bottom, some phases can overlap depending on the stage of the individual work breakdown structure. Determine the Risk Exposure threshold against program risks can be undertaken using the following risk exposure threshold. 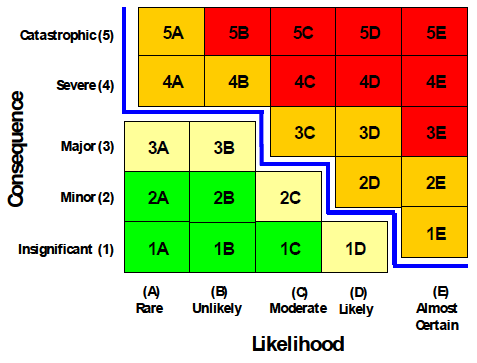 The risk exposure “heat map” is divided into 4 zones that categorises risk exposures as Critical (red), High (amber), Medium (yellow) and Low (green). These zones guide the setting of the risk exposure threshold and the level or priority assigned to mitigation. The vertical axis represents the 5 levels of consequence that correspond with the criteria detailed in the consequence matrix, while the horizontal axis shows the likelihood scales. The program sponsor has the discretion to use its own risk exposure threshold if it believes that individual program circumstances justify more aggressive or conservative tolerance to risk. The Blue Line indicates the risk exposure threshold for the program. Please change this to your desired threshold or delete the diagram and replace it with a textual description of the risk exposure threshold. 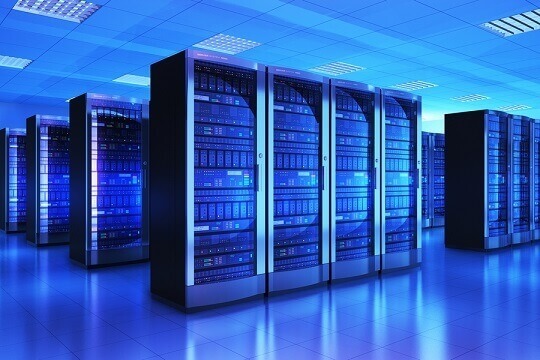 Get in contact to talk more about managing large Data Centre Consolidation programs. With CBA going through one of the biggest Hybrid Cloud transformation amongst the big 4 banks, this engagement was initially managing the selection and delivery of a new Private Cloud capability from RFP through to operational readiness. With the Private Cloud capability delivered in September 2017 I was then requested to pivot onto the Public Cloud program and deliver a dual AWS and Azure public Cloud platform, read more here. With Qantas undertaking an RFP for selection of a new Application Support partner, I was engaged to support the commercial team with Transition and Transformation (TnT) scoping and sizing as part of the commercial agreements being negotiated. On award of the contract to TCS I was then accountable for the TnT program to transition all application support over to the new partner within the boundaries of the commercial agreements. 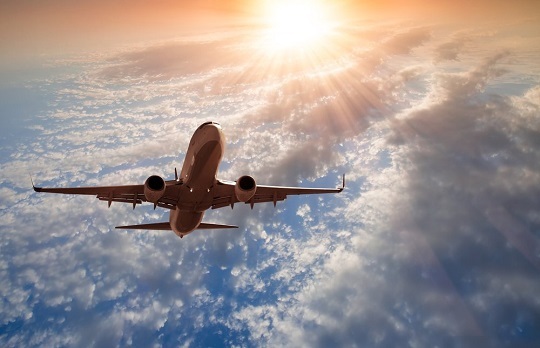 With the transition completed within 9 months I was then requested to pick up the Qantas Public Cloud program delivering a new cloud platform on AWS, read more here. 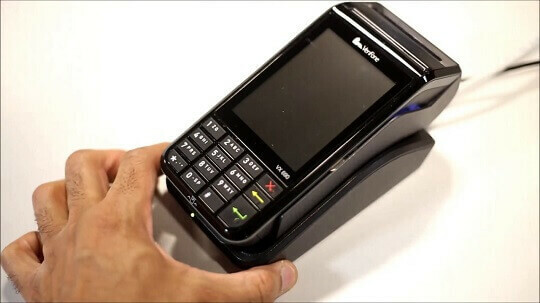 Working with one of Verifones big 4 Australian bank clients this program entailed the IOS development and delivery of the new Vx690 Portable Payment Terminal as well as development and transition of new payments gateway into the clients payments business. Based in Sydney though with responsible development teams located globally in Australia, New Zealand, Edenborough, Middle East and the US, this program was an intense experience of how the payments industry works, read more here. Returning back to CBA for a new engagement this program was selection RFP and subsequent delivery of a new Privileged Identity and Access Management service into the banks existing and extensive security and identity management environment. Accountable for the delivery from requirements gathering, through sourcing and subsequent business case funding approval, this program presented many learnings on how to source and implement a new identity service in a highly complex environment such as CBA Digital Protection Group, read more here. On delivery of the highly successful DC program I then moved onto a tender program which was at the pointy end of commercial negotiations. I was responsible for undertaking the sizing and scoping of the professional services component to delivery the outcomes of the commercial arrangements, this was a large TnT program into the Federal Government, read more here. 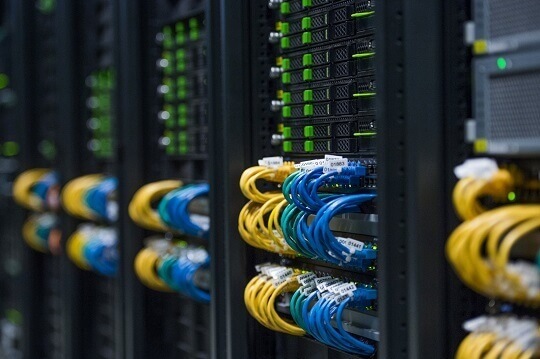 With another of the big 4 banks going though a large data centre consolidation program this work was to manage the establishment of the core network and all private fibre connections into the new green fields data centre for one of the big 4 banks. The establishment of the core network was an enabler for application teams to start their transition works off old data centre environments and relocate their business services, read more here. Cheers to ©Creative CV for the base template. Design your own with Bootstrap 4.0 and CSS.